Inhambane, the name meaning 'the place of the friendly people', is one of the oldest ports on the Eastern Coast of Africa, where, back in the early 16th century, Portugese explorers established a trading post for slave traders. The town is located in southern Mozambique, lying on Inhambane Bay, four hundred and seventy kilometers northeast of Maputo. Inhambane is one of the most beautiful areas of Mozambique, with pristine beaches, coconut palm groves and salt water mangroves. Scuba diving in Inhambane is particularly popular in locations such as Manta Reef and Gallaria. Giant Manta Rays, Whale sharks, Turtles and other marine life are regularly seen and there are many professional scuba diving operations throughout the province. 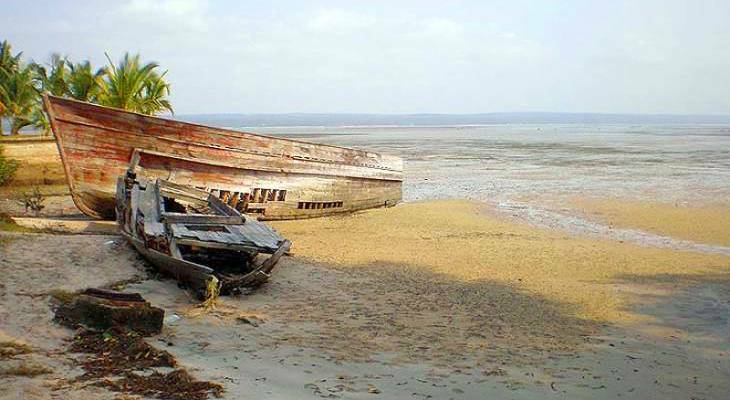 Many tourists are under the impression that they can dive from Inhambane itself, but the closest diving to Inhambane is actually at Praia do Tofo. Tofo is also known as the whale shark Mecca of the world. One can find most basic facilities and supplies in Inhambane, such as banks, shops, petrol stations, markets, public phones and internet access. Visitors to Inhambane are sure to find the old Portugese colonial architecture interesting as there are many old buildings in the city, which include the two hundred year old Our Lady of the Conception Catholic Cathedral, and the Old Mosque that was built back in 1840. Local arts and crafts can be viewed and purchased at the local market, with the skillfully made woven straw baskets and mats being most notable. Tourists will more than likely witness the local musical tradition, played throughout the town on chopi xylophones. Other attractions include the Inhambane Museum where one can find everything from interesting artifacts found in Mozambique, to agricultural tools and instruments, and old photo's. Located near the bay is the Linga Linga Nature Reserve, which was formely a whaling station. The reserve is now one of the last remaining places in Southern Mozambique frequented by the rare aquatic mammal, the dugong, and is accessable via dhow or short boat ride from the harbour. Inhambane overview. Inhambane Accommodation and Information.